Prior to the Internet, the last technological innovation that had a significant effect on the way people sat and talked together was the table (Shirkey, 2003). The web has transformed the way we communicate, learn, and work, and in the very near future, it will transform the way we manage organizations. Web 2.0 technologies including blogs, wikis, social networking sites, and virtual worlds are more personalized and interactive than first generation web applications (Web sites and email) and offer opportunities for proactive participation, sharing, connectivity, and collaboration, the very underpinnings workplace learning, and performance. Web 2.0 tools allow employees at Dell, Starbucks, and IBM to connect with each other to share ideas and information and form communities. IBM also uses social networking to capture expertise throughout the organization and 3M uses it for the sharing of ideas and research information among experts (Bersen, 2008). Gensler, Honeywell, and Nestle are using both external (YouTube) and internal streaming video to communicate culture, teamwork, and share best practices. Web 2.0 has gone beyond blogs, wikis, and video to include a virtual world known as Second Life. Second life hosts conferences, learning, and social networking events for hundreds of organizations as diverse as Harvard University, IBM, and Cisco. The attached PDF, Web 2.0 Learning Applications contains links to a number of common social networking products and their potential uses in organizations. Although this list is not exhaustive, it is a good starting point for those who want to learn the talk or delve deeper into the various technologies. Is your organization utilizing social networking strategies? If so, which ones? How do you think social networking will or should impact organizational learning in the future? What are the challenges ahead? What are the benefits? Add a comment to let us know what you think..
My current organization does not use social media as far as networking and learning. Which I honestly think is detrimental in this day in age, social media has been the cause of many great things happening for large organizations and expansion. My organization is on LinkedIn, however they do not actively use that for recruiting or advertisement. Although face to face connections go a long way I think that staying tune with social media and the internet in general is a great way for explorers to stay in time with the market, it competitors etc. I personally am old fashioned and still believe in hand delivering my resume to employers just to get that in person interaction. Nonverbal clues like Tone of voice, body language, & facial expressions on mini are a lot about the way a person is feeling without them even saying it. Although I am enrolled in a virtual program here at RU I still appreciate those personal exchanges with individuals. Unfortunately the previous organization I worked for offered no such resources and were very much lagging in the realm of technology. I recall having to use a very outdated version of microsoft outlook that wasn’t even compatible with newer systems. We had no blogs, or no means of connection with one another aside from email or scheduling meetings in person. The organization itself had no app and the website was not mobile friendly as the platform was built in 2005. This organization’s leadership had difficulty looking ahead as they were very top-down heavy and were subject to the whims of their CEO. As I finish my masters and look to applying and getting a job at one of the big consulting firms, I look forward to the many resources they offer their employees. Is your organization utilizing social networking strategies? If so, which ones? The current organization that I work for is Walgreens. Walgreens does have a social media presence that includes Facebook, Twitter, and other mobile applications. The application strives to offer ease of utilizing Walgreens as their go-to pharmacy or convenience store. Some apps allow you to search for items and then map out its location within a specific store, making finding items a quick and easy experience. Some also allow for you to compare items and gather more information once codes on the item are scanned. They hope to attract customers to use Walgreens with its ease of use and technology friendly troubleshooting methods. From my experience, their approach to social media platforms are more from a professional aspect rather than a casual basis. Posts focus more on current ads or promotions that are currently happening with the company. How do you think social networking will or should impact organizational learning in the future? What are the challenges ahead? What are the benefits? I think social media has the potential to open up the discussion for all members to easily participate and discuss their ideas. While there is the positive aspect of ease, the face-to-face interaction is lost in this approach. It may allow for a larger audience; however, this may come with other caveats. Organizations should be wary of the impact social media may have, both positive and negative. With a company like Walgreens, customers have a larger audience to voice any negative experiences they may have. This negative press can hurt the company and require a larger PR and social media team to handle these situations. On the other hand, this means that customers have more power to ensure that issues are addressed more readily. Social media exploded into the corporate scene a while ago. Organizations had multiple platforms and communication was spread thin. What platform do we check? Why not just email? Email is social too, you can see anyone. As a platform it lacks the organization but even that has evolved as many email providers turn emails into threads now. This is the recognition that email is conversation. So, with multiple platforms for being social spreading users thin I have witnessed a decline in utilization. Even on a personal level the social landscape has so many platforms that many tire of one and just pick one with the newest and easiest form of communication. The social media ease of use has changed the text based communication to quick videos that are highly expressive. Organizations will lag behind on this frontier for various security purposes but the utilization of external platforms has been adopted like never before. So long as proprietary information isn’t used it’s fine. HR even sees it as a recruitment tool showcasing work life balance branding an so on. Virtual environments like second life never took at any place I have worked at. Technology is not there and by the time it is something new might be more powerful. I don’t think we expected user content creation to be so in depth. People make and edit videos using apps with a polish and expressiveness that was never before realized. Who needs a virtual avatar when you can just be yourself in a video? Sure a couple augmented tweaks might be used but it’s so easy and doesn’t require new displays or coordination like navigating a virtual world. In conclusion social media in most organizations needs concentration. Too many platforms decreases utility and engagement. The use of external platforms keeps everyone current but one must protect proprietary information. Email has evolved and is still relevant as a social tool. Social documents like powerpoint and files are more useful than a chatting platform. Real life and virtual meetings are still best to get work done. I currently work in a university department that focuses on student support. Like most departments on campus we use Facebook in regards to social networking. We have contemplated using Twitter and Instagram but for now it’s just Facebook. We connect with current and former students of our program, staff/faculty, other departments, as well as outside organizations that we partnered with for past events and student outings. We also post updates on what we are up to. You can hold discussions in comments sections of what you post in a forum-like manner. Facebook has a feature that allows people to show how they feel about what you post. In terms of impact, that can be useful when it comes to letting the organization/department know what their employees/students take a liking to and what they do not like, want, or care for. It can also be a way to document where funding goes. Any event or initiative that we partake in is documented on Facebook. The challenge depends on the size of the organization/department. We are a small department and do not have large numbers of participants in our program. Participation is not always reliable. It is not guaranteed that every student that sees what we post will react to it. The bigger the organization/department, the more likely that there will be participation (and more funding). The current organization that I am associated with is CVS. I think that CVS does an efficient job of having an online presence on social media. Mainly, their platforms like twitter is used for advertisement of products. A newer technology implemented is the CVS app. Through this application, customers can easily access their CVS rewards card, check sale items, check prescriptions, request refills for prescriptions and more. This app was formed as a way to better reach customers and keep up with social networking strategies. How do you think social networking will or should impact organizational learning in the future? Social media allows for a much larger target audience. Social media has great power and can boost something’s popularity in an instant. Companies must be careful because when their comment is placed onto the internet, there is no erasing it as critics will always be there to respond. This can impact organizational learning by automatically separating and generating target audiences. What are the challenges ahead? What are the benefits? Challenges include that person to person contact and interaction might be limited. Challenges currently facing CVS are that some people get annoyed if they receive too many reminders for their prescription pick up. It is difficult to find a balance as each person has such a specific preference when it comes to their technology and social networking capabilities. The benefits of social networking include the ability to improve on customer satisfaction. Although there are a lot of modern day organizations using Web 2.0 social networking applications, these are usually organizations that are trying to meet a market standard and a certain customer in order to maintain engagement between the organization and its clientele. However, this is a challenge for those organizations without the budget or nor desire to focus on social networking and learning technologies as a viable option to how organizational procedures are currently structured. The motto, especially within my organization, when it comes to interdepartmental communication or any type of basic training is: “This is how we always do it” and usually none of the technology mentioned in this post associated with either process. As most organizations are moving towards using video conferencing, online wikis and other options to decrease costs and standardize training methods there are still organizations that will always defer to traditional methods as the “best way” to do things. I personally have used online training, wikis at other organizations and have created multiple blogs for academic reasons each of these instances allowed me to see the benefits of Social networking and Learning technologies. Unfortunately, it is hard to create tangible examples of these benefits to create the desire that all organizations even the reluctant ones, I have aforementioned, to buy into this way of thinking. Technology advances the interaction between individuals in the entire world. The Internet alone will allow knowledge to be received at the fingertips within seconds. I remember the time when I use to have to open encyclopedia books and turning pages earning paper cuts along the way to get to the topic of my choosing. Sure, it was time consuming, however, it was a beautiful journey along the way going through those pages. I agree with the article about the technologies previously mentioned (blogs, wikis, podcasts, Facebook, etc.) becoming more personalized than the first generation of web applications. A digital gathering is accomplished and individuals can now form relationships from a distance in addition to professional work meetings and interviews as well. It is a cost saving strategy for sure and efficient lest we forget. Various platforms exist today and users will either be motivated or de-motivated if it’s not user-friendly. Every platform has its purpose and understanding those purposes are paramount before beginning any communication. The emphasis of sharing and interactivity cannot be denied, therefore making it all too easy to let loose on the Internet. Is your organization utilizing social networking strategies? My organization does not use social networking strategies since it’s not needed in my line of work. Only if we are involved in live webinar training, which takes place but not often. If so, which ones? N/A. 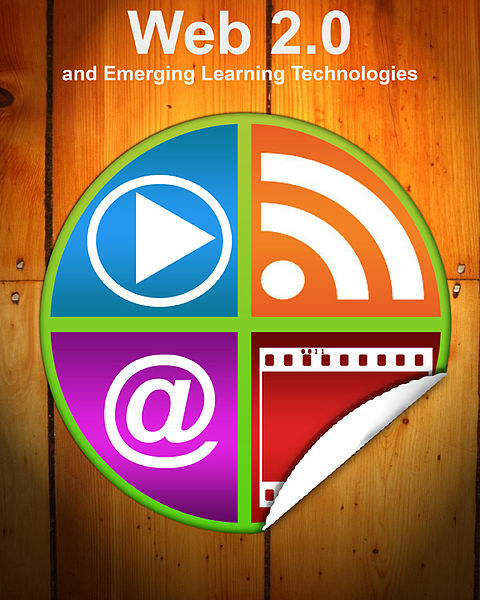 How do you think social networking will or should impact organizational learning in the future? I think it should impact organizational learning in ways of any and all information being efficient as information is delivered and received. I also believe the effectiveness of training will not be hindered for those use to working with computers. What are the challenges ahead? Security. The more Web 2.0 advances to the next big thing or even currently; it’s always a security challenge if used in educational settings like in grammar schools or high school as examples. If something is created via Web 2.0 and installed in a huge school district, security issues will always arise as the main objective to the usage of Web 2.0 on a more advance level. Hope that makes sense. What are the benefits? The benefits are instant two-way communication and the development of more different social media platforms resulting in more businesses and jobs being created with more options becoming more available to choose from. Social Networking is the modern day vehicle of how people like to interact, engage, learn, and communicate today. It’s no surprise by the surge of technology resources, gadgets and applications being invented and released for public and private use. Social Networking is the gateway of accessibility, convenience, and instant gratification. It has gradually replaced traditional in-person means of interaction, engagement, learning, and communication. The pros of Social Networking is that you can get access to any information when you want it, where you want it. No longer does anyone need to wait to sign up for a classroom learning event, receive communication by way of “snail mail”, or depend on in person networking opportunities. The cons of Social Networking is it removes the in-person engagement and interaction element, traditional oral and written communication have been replaced by sound bites and emoji’s, and anyone who has the microphone or camera now considers themselves a “subject matter expert” on the “topic of the day”. Our company uses external Social Networking platforms such as LinkedIn (for job postings and public group discussion boards), In addition, we have internal Social Networking platforms created on our intranet. Groups that staff can join include subjects on wellness, community service, work/life balance. Here, staff can blog on various topics relevant to the group. There are also internal video (similar to YouTube) clips that have been created by our production team for staff to use for independent learning and research relevant to our industry. Utilizing social networking in organizations to shares ideas and create a platform for members of the organization to share ideas and thoughts. As a member of the younger generation I think it is wise for organizations to stay up to date regarding the current social networking platforms available for use and which ones have been proven helpful. Certain platforms are not user-friendly which can cause members to feel disconnected. In line with previous posts, I believe that a healthy mix of face-to-face human interactions and social networking platforms will result in positive outcomes for an organization. In response to the links provided, every platform has a specific purpose and it is vital that organizations understand this concept. Using Twitter, for example, to relay messages to the organization is inappropriate. However, utilizing Twitter to gain response and recognition from potential clients is extremely beneficial and has been proven time and time again to be a great asset for companies. Misuse of a social networking platform could result in lapses in communication and depending on the situation, could lead to sensitive information getting into the wrong hands. Social networking is a beneficial tool for an organization, but nothing can ever replace the feeling of human interaction. Thus, I feel it is wise for an organization to consult an expert when determining which platform to utilize for their specific purpose. Social networking sites are becoming more and more integral in their uses for organizations today. Everything from recruiting, communicating with employees, knowledge sharing, etc. Used in combination with face to face learning I believe organizations can offer more training and development opportunities for their employees. People can connect from around the world in a fashion that was unheard of 20 years ago. This allows organizations to offer more opportunities for employees at a fraction of the cost. On the potential negative side is the fact that employees, especially those that are disgruntled, can post reviews and/or comments on sites such as Glassdoor that can damage an organization. So there is a side to social networking that may hurt companies. Interesting topic of conversation-Our organization currently utilizes LinkedIn for professional networking. This allows us to meet people associated with business affiliations that results in a mutually beneficial professional relationship. They might be in a position to offer us a business opportunity or service, or perhaps we can be of service to their organization that will help them to advance. We are a small non-profit working on growth and advancement. We still need to establish our website and engage in other social networking tactics (possibly Facebook and or twitter, etc.) for business purposes. The most important challenge to make note of is that we cannot replace meaningful face-to-face connection with online social networking. Online social networking has a wonderful purpose and provides great opportunity, but we cannot allow it to give us a false sense of connectedness. Web-based social networking promotes connections with people/businesses nation-wide and internationally that might not otherwise be possible. This allows for additional possibility that would not be as accessible if every business relationship/transaction was achieved face to face, walking door to door, traveling from city to city, and/or country to country. Social networking can be cost effective and has the capacity to positively impact those who for various reasons cannot learn in a physical classroom environment due to accessibility or even a disability. I will stay posted and close to the topic as I know technological innovations will continue to present themselves in the near future.